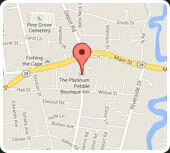 What is better than a seafood dinner at a world class restaurant on Cape Cod? Finding your own food and cooking it up with a personal Chef of course! If you love seafood and need phenomenal Cape Cod Vacation Ideas, Clamming is one of the best! Foraging for our dinner has to be one of the best experiences we have had on Cape. 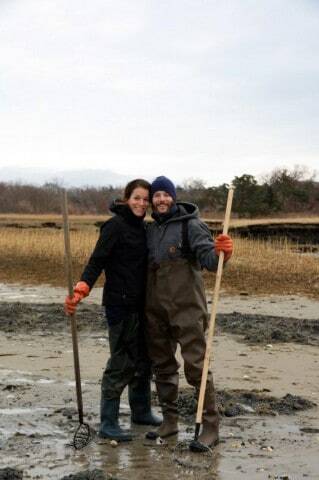 It is an incredible feeling to dig up your first big, fat Quahog (quahogs are large clams). Enjoying fresh seafood is a great joy of life and there is not much better than eating a fresh shucked clam with your feet in the ocean. If you really want to get down, bring your cocktail sauce and lemons and make your own raw bar there on the sand. Why not? 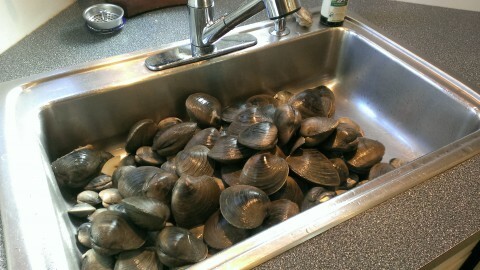 Quahogs! A Cape Cod delicacy. When we went clamming it was December and COLD! 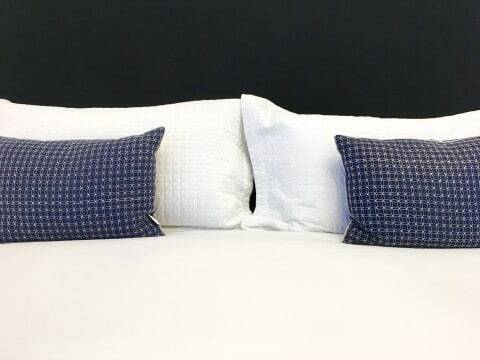 It can almost be a year round activity so, if you want to clam and you are staying with us at the Platinum Pebble Boutique Inn, let us know and we can arrange a trip for you. We have the tools, you just need to bring a smile and some sunblock. Most often it will be summertime and beautiful outside. If you want a real treat we can help set up a clambake or arrange to have a personal chef do a shucking demo and Stuffed Quahogs after you haul in the motherload! Handing over the clams to the chef! Of course it does not hurt to be in one of the best surroundings possible when clamming. 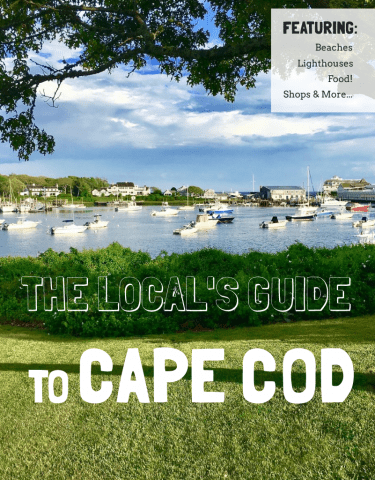 When you think of Cape Cod Vacation Ideas the water is almost always involved. When you are clamming you get to enjoy your feet in the water and the sun on your face, most times. 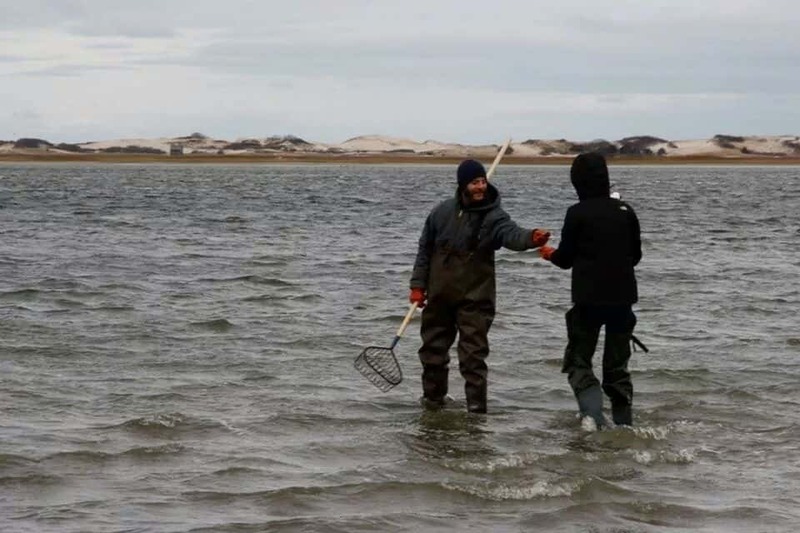 Our Winter day clamming was still an incredible experience…we just didn’t spend very long doing it! This is an experience not to be missed. We can direct you to the best clamming spots, help arrange for shellfishing permits, provide the tools and instruction, and most importantly make sure you get to cook and eat the clams you find! 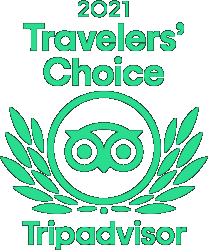 If you are interested in Cape Cod Vacation Ideas that are tough to beat, let us know when you make your reservation and we will help make all the arrangements. We look forward to showing you the best of what the Cape has to offer! The Innkeepers after a great day clamming.